Oh no! He’s talking about anime now! Uh oh! Right, I’m talking about an anime now, and a pretty unusual one at that. 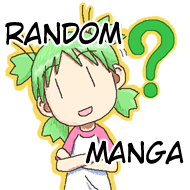 I’ve already talked about Touhou (video games) and Unsounded (comic) so what’s the problem with an anime? Besides, like Touhou this isn’t only one “thing” anyway. Right, there is no problem, now watch as I gush over this series. Art by Nekota Susumu (ねこたススム). 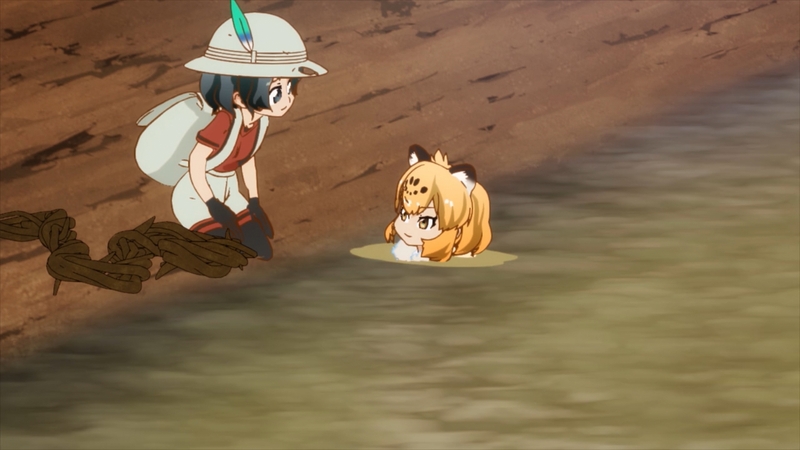 Before I get into detailed stuff, though, if you want my basic opinions: Kemono Friends is a series that does everything right, even its questionable animation which honestly just serves in its favor way more often than not. It’s a happy series with a uniquely depressing undercurrent that never actually overwhelms anything, instead making you, the viewer, think about things a lot while the characters tend to not dwell on what should perhaps concern them. 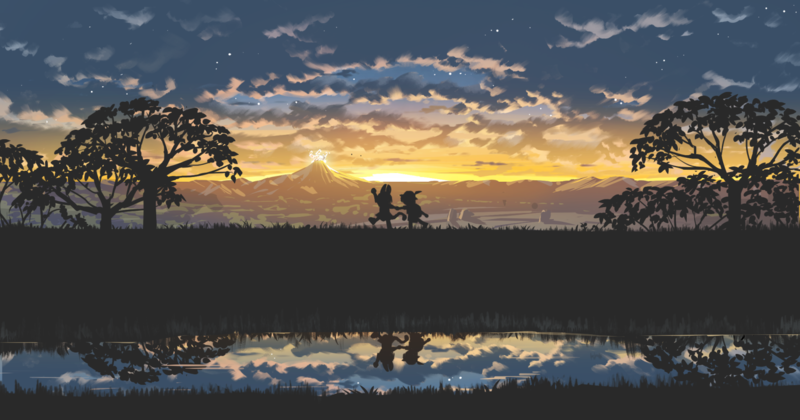 Because of this, the series really gets deep in your head. 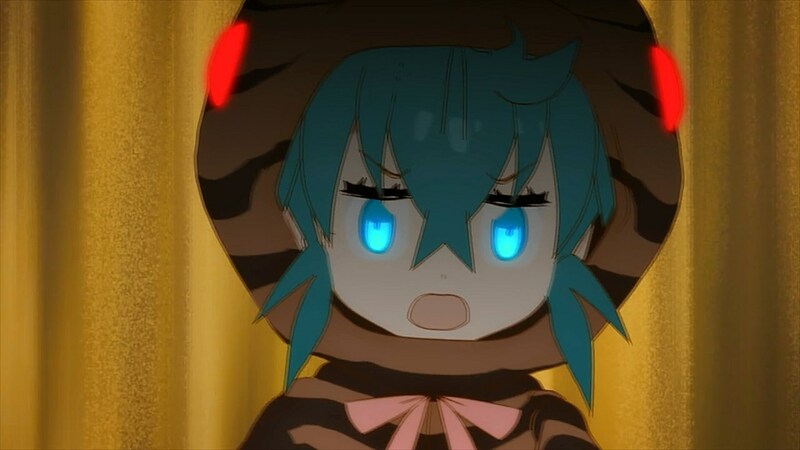 Like, due to the mysteries present and the positive feelings it gives off on the whole if you end up getting into Kemono Friend you really get into it. It becomes a light of your life, something you’ll want to think about often. You’ll also probably be very interested in animals and nature, which is fine. Go watch capybara videos. 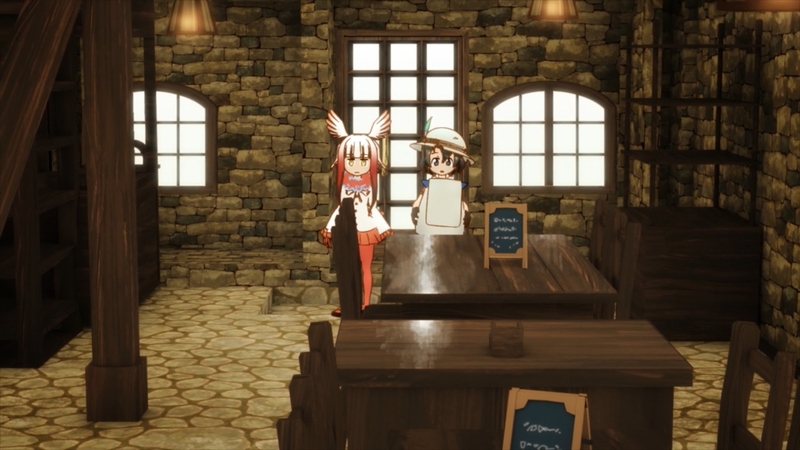 Premise: Japari Park is a mysterious, multi-climate island filled with “Friends”, animals that have been transformed into two-legged creatures with a good amount of intelligence by a weird substance called sandstar. 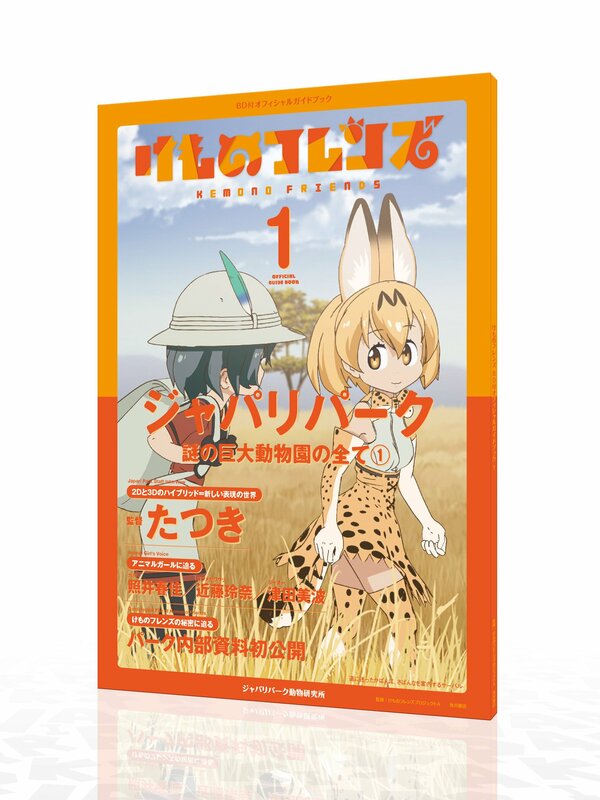 The series opens up with the mascot character and one of two protagonists, Serval (a serval cat Friend), lounging around when she detects the presence of a new arrival. She instinctively gives chase, in play, and catches this person. This nameless creature seems to not know who or what she is, where this is, or anything. Serval tries to figure it out, but can’t, and so decides to call her “Bag” (“Kaban” in Japanese, which is what most call her now) after the huge bag she’s carrying around. 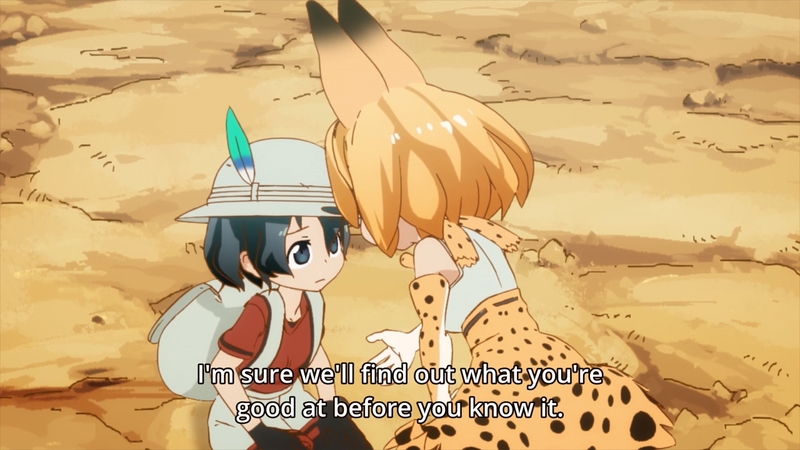 Kaban is a little disappointed in herself throughout episode 1, proving less capable than Serval in several ways (can’t run too fast, can’t climb well, can’t jump high and so on), but Serval insists that Kaban must have something she’s good at (and there is: she seems smart, and can make things and figure things out in clever ways). 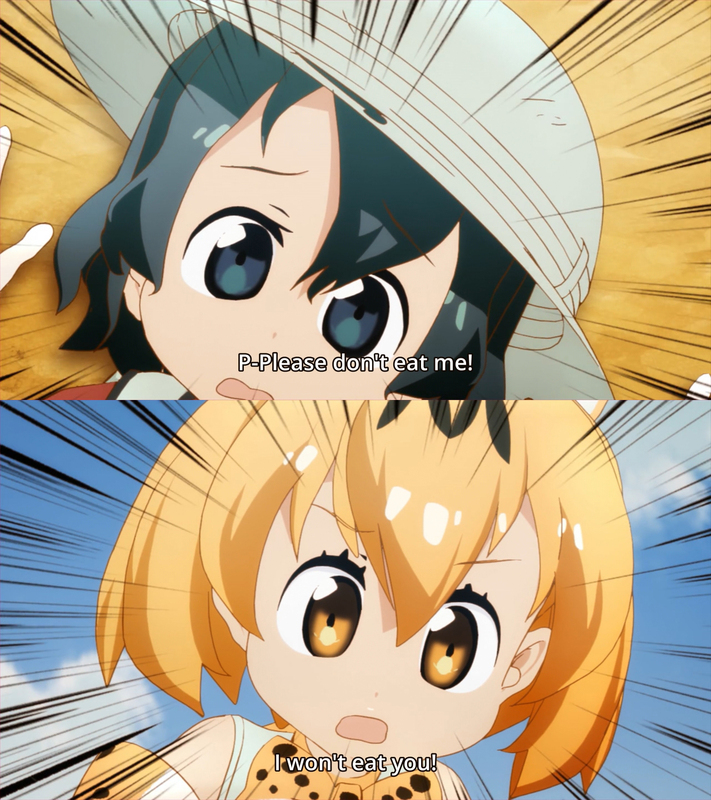 All Friends do, so she declares that she’ll direct Kaban to the Japari Library, where she’ll be able to find out what animal she transformed from. The library is like 100 miles away or something, and the journey will take days. Honestly, this is where the series hooked me, minutes into episode 1. The draw for the show, in my case, was namo (mangaka of Ookami Shounen wa Kyou mo Uso o Kasaneru) had been tweeting about it often and referencing it too, and I became increasingly curious until I finally watched the first episode two weeks ago. I don’t usually watch anime these days, so it takes a lot for me to even bother. The prospect of taking a long time to get to a simple place (a library, in this case) delighted me immensely. I have this particular interest in two things: one, I like abandoned but not necessarily ruined human settlements; two, I really love adventure. Kemono Friends has both, and showcases both very quickly. There’s just something bizarre and wonderful to me about people walking through places that were lived in, but aren’t anymore, and yet nature has yet to fully claim them. It’s a unique aesthetic I don’t see very much at all, and one I’ve even tried utilizing in my own writings. It’s especially nice if the people don’t entirely understand that these structures were for another race, and just don’t think about it at all. Kemono Friends has all of this. 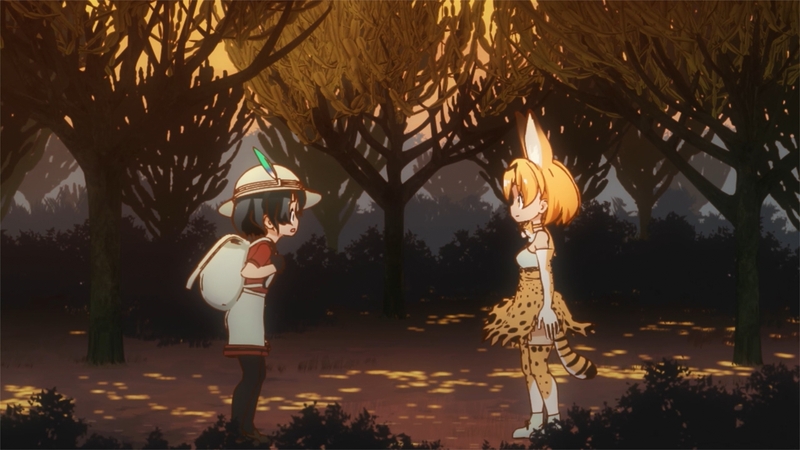 Basically, Serval and Kaban travel through the many and varied landscapes of Japari Park, often moving through abandoned structures clearly meant for humans, in search of a simple library in order to find out what Kaban is (and to most viewers, it should be clear what Kaban is). My fancy was supremely tickled. They meet new Friends along the way and have a whole lot of fun with little episodic escapades, but they rarely actually address the question of why this world of animals seems to have once been a theme park for humans. When hints are given, they’re so minor and yet so incredibly significant. This really comes to a head in episode 4. Episode 4 really excited me, and I was already super happy from episodes 1, 2, and 3. Also along the way we meet what seems to be a park guide that all the animals call “Boss” (or Lucky Beast). Boss only talks to Kaban for some reason; something we discover in episode 1 and something prompting more questions and mystery. 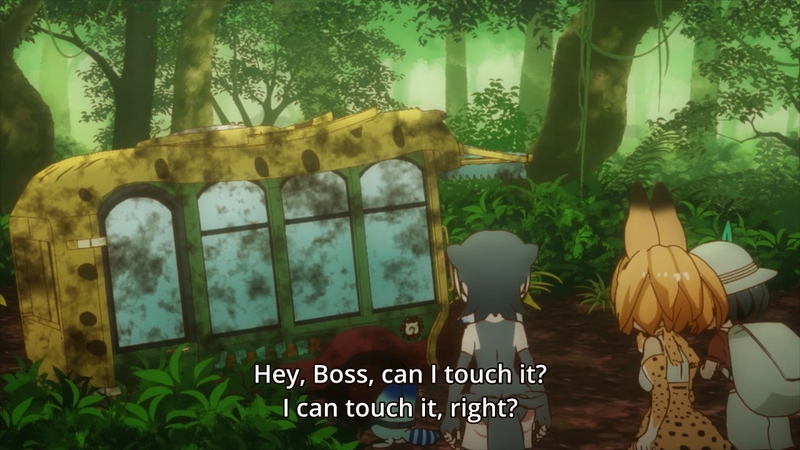 Boss actually helps the journey out quite a bit, as he first tasks Kaban and Serval with getting to, getting parts of, fixing, and recharging the battery for a bus that will become their ride for the rest of the series. This isn’t a simple task, either, so it really feels like an accomplishment when they manage it. Other than directing everyone, he offers animal facts in spades, and have I mentioned that the series’ creators themselves offer such things as well? At episode breaks for commercial, there are little interviews with actual animal experts who detail some interesting facts about animals we were introduced to in the current episode. This gave me the impression that the series was staffed with people who really cared. Like a lot. 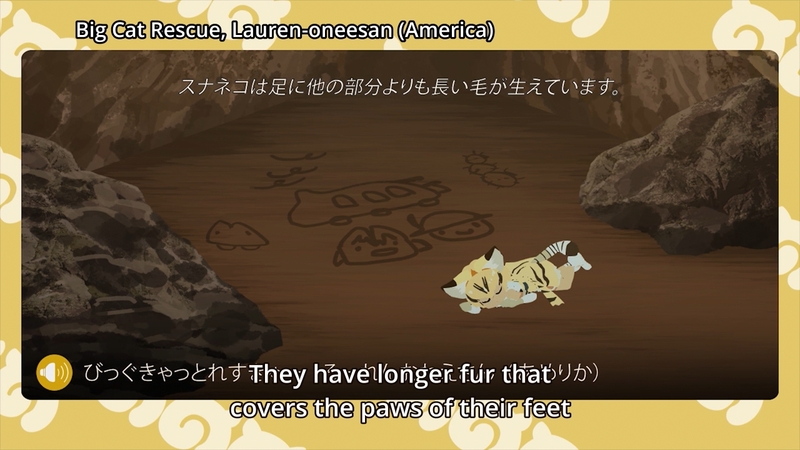 They don’t only interview Japanese zookeepers, after all, but people from other countries who speak in other languages. The series is also clearly…how to put it? It’s clearly crafted. 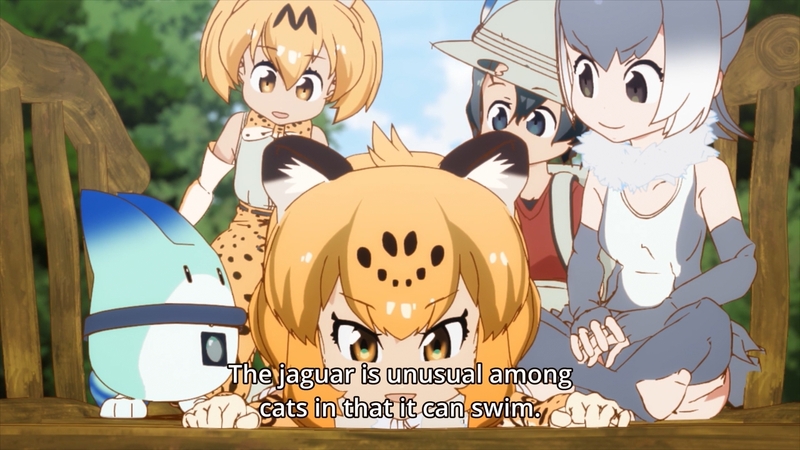 There’s a lot of little details that get put in (such as Serval’s distinctive ears tending to react before the rest of her does to sounds), the direction of scenes is incredibly delightful, the character designs are really strong and very cute, and the voice work is…man, so good (you can tell they’re having a lot of fun), and there’s a lot of seiyuu (VAs/Voice Actors) due to there being many characters. So, good characters (they really do act like animals, it’s terribly endearing), good atmosphere, good mystery, solid plot, the rarely-seen and rarely mastered real adventure genre, uniqueness, cute as hell, voice work is good, direction of scenes is good, knows how to employ mood, casual possible post-apocalyptic setting, unusual animals are featured, part documentary, new IP (intellectual property), and I haven’t mentioned it but the music is good too. 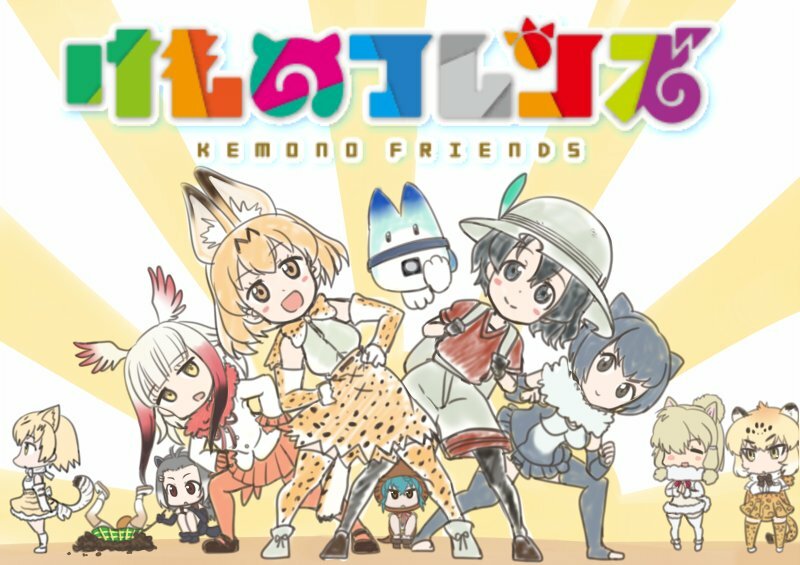 What’s bad about Kemono Friends? The animation? The animation is so funny though, and most of the time it’s not what I’d call bad anyway. Episode 1’s chase scene? It might be hard for some people to get over but I found it charming. Episode 1 as a whole? No. The first episode is actually really quite good, it’s just not yet in the standard format of “go to new place, meet new Friends”. The series is also full of surprises, like what happens at the end of episode 6, or the whole of episode 7, or how there are two major characters in the series who almost exclusively show up after the episode has finished and yet they’re two of the best characters in it. The writing also uses a whole lot of subtlety and slow build up such that you can come up with reasonable theories and answers to questions just by doing first time viewings (though there’s a lot you can miss, and so it’s good for rewatching). Episodes feel like they go by really quickly, the whole vibe of the work is children’s show-esque and indeed although it airs at 2AM the staff did intend this for all audiences. That said, it is definitely also familiar with sadness, and seems to be heading for a powerful finale (oh GOD it so was. It so, so was). This is a feel-good show that is not just feel-good. Yeah, it’s uplifting and encouraging and has a message of “everyone has a purpose and at least one thing they’re good at”, and yeah it’s たーのしー！ to the point that you feel constantly elated, but there’s more to it and that’s what really makes it awesome. 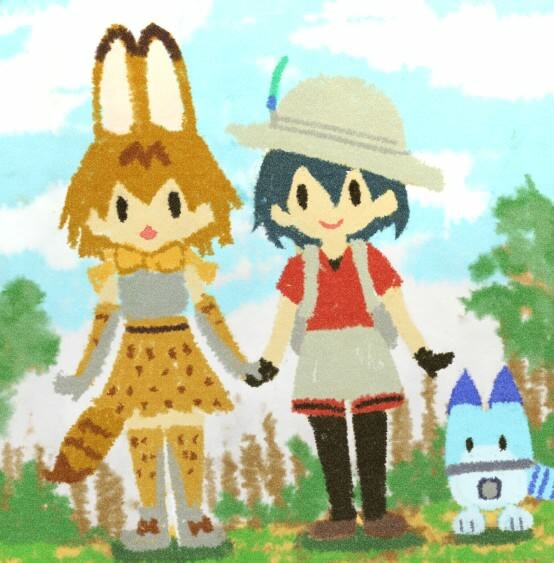 You see Kaban and Serval go on a long quest and become better friends, and then you don’t want it to end. That’s why I love Kemono Friends. Oh no, Kemono Friends is dead. It didn’t even last a year. Great. If you’re curious the blame seems most likely to be on Mine’s hands. Nothing is confirmed. Anyway, please look forward to Yaoyorozu’s next work. If you want to watch it, [here] is the official place to do so in English. If you want to buy it, here’s some links for the BD: Kadokawa’s site, animate, amazon (more links [here]). You don’t have to watch it, though. Will you watch it? I doubt that. That’s that. Thanks for reading. This wasn’t the yuri manga I was talking about, obviously, that’s still on for Wednesday. I’ve just started watching – three episodes in, currently – and it’s utterly charming, with an unsettling subtext. Can’t wait to see where it takes me. If that’s the case, you should love it!